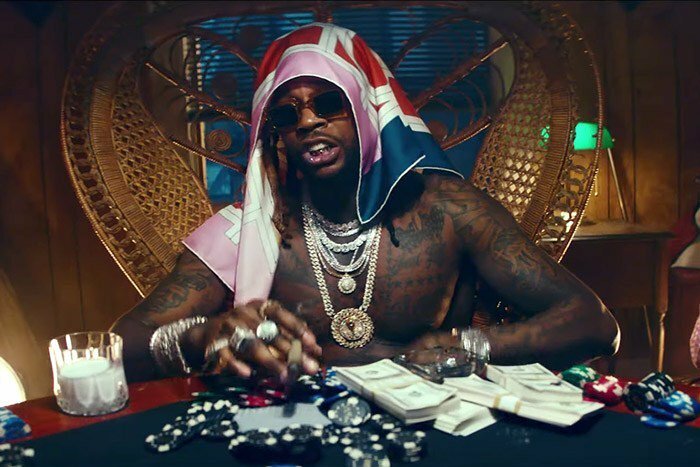 What's going on in 2 Chainz's 2 Dollar Bill video? So many weird things happening at once which we're just going to let you figure out for yourself. "2 Dollar Bill' featuring Lil Wayne and E-4O can be found on 2 Chainz's fifth-studio album Rap Or Go To The League, which also features collaborations with Ariana Grande, Kodak Black, Kendrick Lamar, Chance The Rapper and more. Watch the Atlanta rapper's really bizzare 2 Dollar Bill video below.